GN 55.2 Disk-Shaped Raw Magnets are unshielded disc-shaped (annular) magnets. 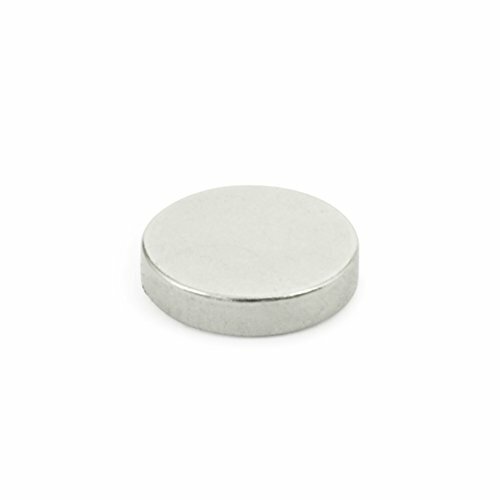 Owing to the vast range of different materials and sizes, these magnets are suitable for virtually any universal use. They are typically attached by gluing. When used without air gap, individual raw magnets always have lower adhesive forces than a magnet assembly in which shielding and magnetic return enormously intensify the force acting at the adhesion surface. Depending on the air gap between magnet and mating component, individual raw magnets--unlike magnet assemblies--can have substantially higher adhesive forces. In the event that no suitable retaining magnets / magnet assemblies are available, raw magnets may be used in combination with appropriate holding constructions to build up highly specific magnet assemblies.